The Arboricultural Association (the AA) and the International Society for Arboriculture (ISA) are pleased to announce that a formal agreement is now in place between the two organisations, establishing the AA as an ISA Associate Organisation. It is important to reiterate that in becoming an Associate Organisation the AA will not be relinquishing any aspect of our independence or status, nor will we become a Chapter. 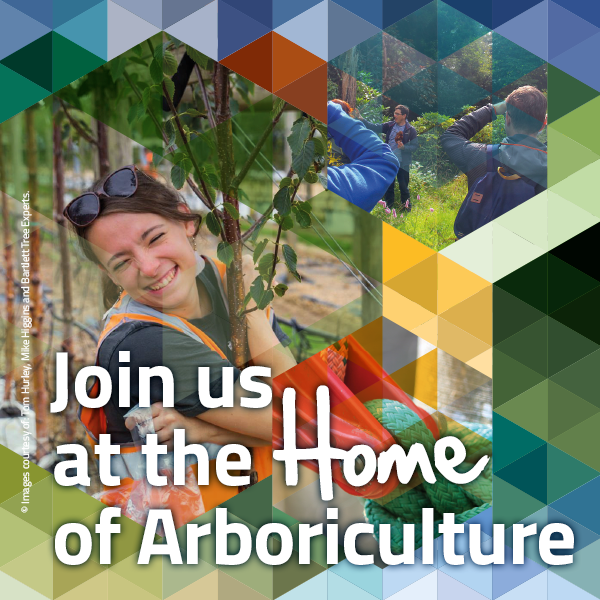 We will remain as we are now but with closer global affiliations and the opportunity to represent arboriculture world-wide as well as through our established platform as the UK’s “Voice of Arboriculture”. We are very excited about the opportunities this new relationship between the AA and ISA will bring and are pleased to inform you that it will be possible within the next few weeks for individuals to join the AA or ISA through our respective websites. Please note it is not necessary to be a member of both and nor will AA membership confer ISA membership. The two will remain as separate but affiliated organisations. We are now reviewing our publications list and will hopefully be adding to our sales offering throughout the year via the AA website. Certification and the servicing of existing ISA certification holders will be considered by the AA Board and we are currently discussing the details of the tree climbing championships and its interplay with our highly valued 3ATC competition. When more information is available we will inform our members. The relationship between two highly respected bodies can only add to the information, services and co-operation we can bring to our members and the profile of Arboriculture. I am therefore delighted we have formed this strong association between our two great organisations so we can continue to build our united voice for arboriculture. I welcome the knowledge and interaction the union will bring as we professionals deliver to Society the multiple benefits of trees.